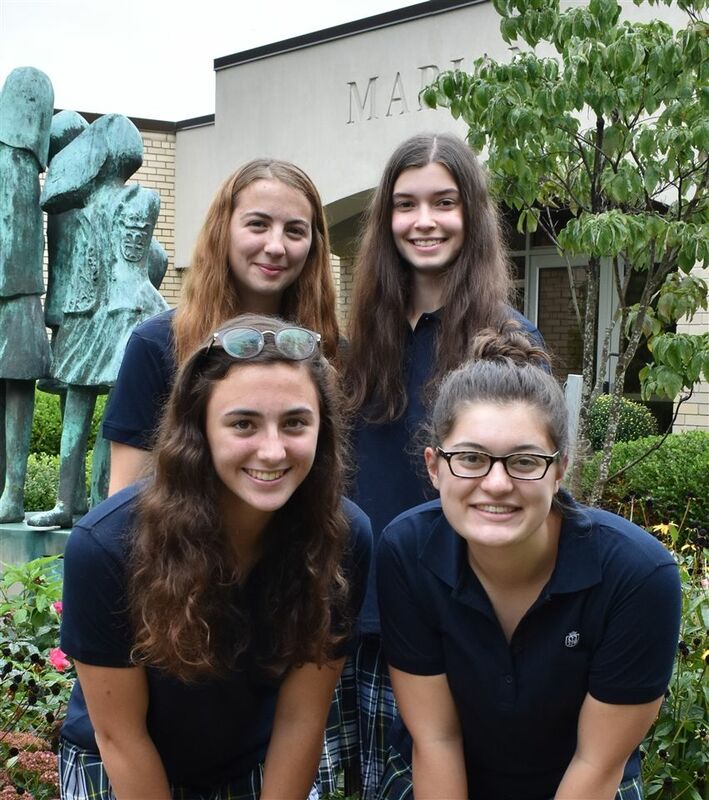 Bloomfield Hills – One Marian High School senior, Jacqueline Giessler, has been named Semi-Finalist and three seniors, Gabrielle Grace, Olivia Osuch, Stella Spagnuolo have been named Commended in the 2019 National Merit Scholarship Program based on their scores on the 2017 Preliminary SAT/National Merit Scholarship Test (PSAT/NMSQT). Commended honorees placed in the top three percent. Jacqueline Giessler, daughter of Kim Toma and Paul Giessler of West Bloomfield, is one of the 16,000 semi-finalists named for their outstanding academic work. She placed in the top one percent of the 1.6 million juniors in more than 22,000 high schools who took the PSAT/NMSQT. Jacqueline has earned the opportunity to continue in the competition for some 8,000 National Merit Scholarships worth more than $35 million that will be offered next spring. Jacqueline is a member of the Marian Rice Players (MRP) serving as head of the Art Crew and co-head of the Running Crew; the English Literary Society; the Ambassador Club and the International Thespian Society. She was selected to be on the Archdiocese of Detroit All-Catholic Academic Team in 2016. Also, she served as a mentor during her junior year and has been on the fencing team for three years. Gabrielle Grace, daughter of Rebecca and Terence Grace of Bloomfield Hills, is a member of the National Honor Society, Spanish Honor Society, the STEM Club, the Medical Club, the Pastoral Team and the Ambassador Club. Gabrielle has received a Harvard Book Club of Detroit Book Award, a Project TEAM Leadership Award, Scholastic All-Catholic Award, and the President’s Award for Academic Excellence. In addition, she has worked as a caretaker and has volunteered at Beaumont Hospital, Summer in the City, and was also a member of Students of the Year for the Leukemia and Lymphoma Society. Olivia Osuch, daughter of Deborah and Brian Osuch of Shelby Township, is a member of the National Honor Society, German Honor Society, the Forensic Science Club, the Ambassador Club, Students Against Destructive Decisions (SAAD), and Project Care. Olivia also is a member of the National and State Volleyball (Legacy Volleyball Club) and has been a member of Marian’s Junior Varsity and Freshman Volleyball teams. Stella Spagnuolo daughter of Laura Spagnuolo of Troy is a member of the Marian’s Junior Varsity Basketball team, and Marian Rice Players (MRP) as a member of the stage crew. About 34,000 commended students throughout the nation are recognized for their exceptional academic promise. Although Commended Students do not continue in the competition for National Merit® Scholarships, some of these students do become candidates for Special Scholarships sponsored by corporations and businesses.